The Benefits Of Using a Fly Rod – Why You Should Fly Fish? 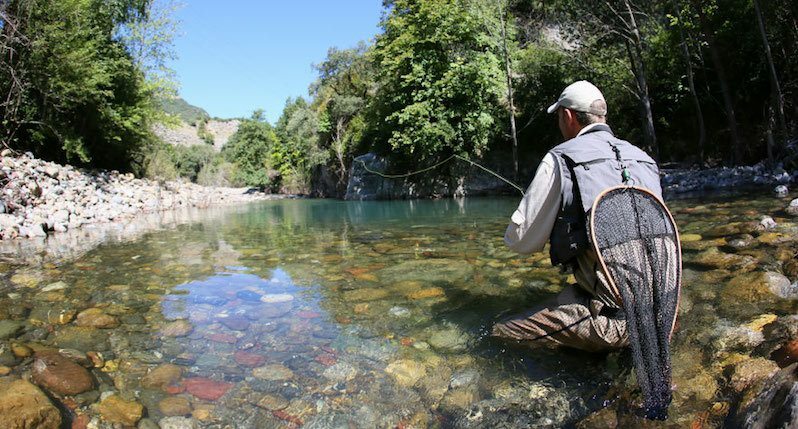 >> The Benefits Of Using a Fly Rod – Why You Should Fly Fish? If you have spent some time fly fishing, I bet many people would have asked you this question. Why fly fish? 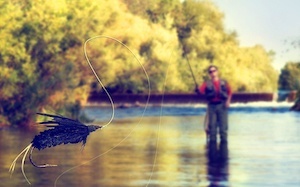 I guess that they aren’t asking you fly fishing in general, but instead, why choose fly fish over conventional angling. Well, I always answer them that fly fishing is the most fun. In this article, I will explain some of the benefits of using a fly rod. Whether it’s a finicky tarpon or a picky trout, we all know that sometimes using a smaller lure is a better way of catching a fish. When using a fly rod, it is easier to cast smaller lures further away. 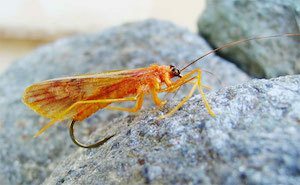 Of course, other conventional fishing methods also have a way of doing this, but it is easier with fly fishing. You have probably used this trick even though you didn’t know it exists. By “Pickup on Long Distance” I am talking about the fact that when using a fly rod, you don’t have to reel the line all the way in before you can cast again. Check out this article for the best reels in the market. If you are fishing at one side of the boat, when another school appears behind you, the benefits of using a fly rod are that you can easily flip to the other side of the boat without reeling in the whole line. The rope that is brightly colored and that you call a fly line can also be used as a strike indicator, believe it or not. And this is possible by looking at the fly line, especially the connection from fly line to leader. This way, you can tell if a fish is playing with your bait just by the twitches of the line. If you are fishing in still-water, a big help can be looking at the end of the neon green line and waiting for it to dart away from you before you grab the fish out the water. Actually, no type of fishing is fish-friendly, but some are more and some are less. The benefit of using a fly rod is that in general, fly fishing is a little better for the fish. And this is because flies are most of the time barbless and single hooked. Yet, modern flies are made out of synthetic materials, while traditional flies are made out of natural resources which are eco-friendly and bio-degradable. We all know that stress is a great factor in human health these days. And there are a lot of different ways of dealing with it, mostly artificial. But, there are also some natural ways like fly fishing. Fly fisherwomen and fishermen report regularly the therapeutic benefits of just being in these beautiful, calm surroundings as one of the best antidotes to the stress caused by day to day life. And this isn’t actually all about fishing, it is mostly the zone where you are that relaxes you. I mean, have you ever talked to an angler? Have you seen how chill they are? As you can see, using a fly fishing rod offers a lot of great benefits. So if you are stressed and you would like to get stress free, pick up a fly rod, and off you go fishing. Not owning a rod yet? Don''t worry we have got you covered here.